Fight Open Defecation with Your Action! Join Aksi Nasional Tinju Tinja. 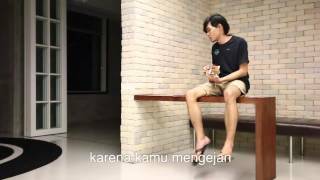 Let’s act together to free Indonesia from the threat of open defecation! Give your commitment to fight open defecation with Aksi Nasional Tinju Tinja in your social media accounts with hashtag #AksiNasional #TinjuTinja, to invite more people to act and fight open defecation for the children! Open defecation is prevalent throughout Indonesia and negatively impacts on so many lives, above all children. 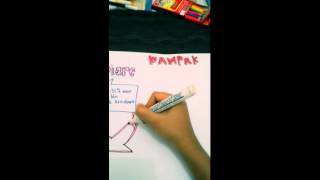 If we can make Indonesia open defecation free, we will see so many benefits. 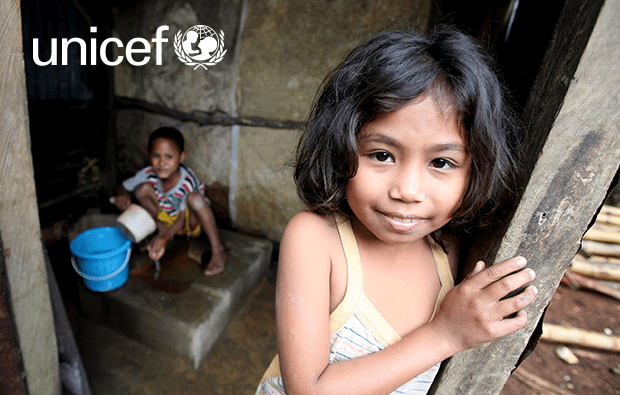 Let’s act together to support Indonesia in the fight against Open Defecation! Give your support to our big family of supporters from all over Indonesia. Open defecation is often invisible but the impacts are detrimental to our nation. Let’s open our eyes and ears to learn about open defecation here! Understand how open defecation threatens our land, and jeopardizes our brothers and sisters from all over Indonesia. Share your ideas, support, or messages on open defecation with your brothers and sisters in any part of Indonesia, with the creative ideas that suit you best. 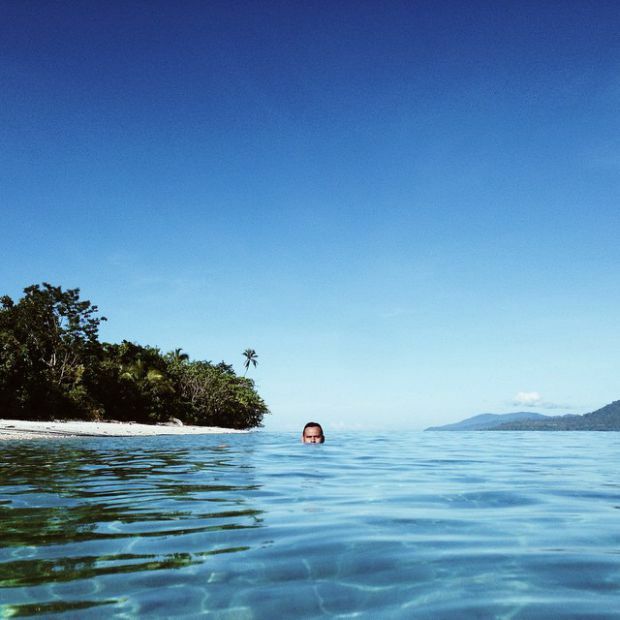 The examples of positive creations below are a source of inspiration! Submit your creation here, by following the existing format and filling the form without needing to provide any further information. Share your work through your social media channels, to encourage more people to participate in the fight against Open Defecation. UNICEF will select and share the most creative contributions and ensure they are accessible by everyone to help the fight against open defecation. The related documentation will be shared through our social media channels. To participate, please register yourself first using your social media account. The more people that understand about open defecation, the more hearts that can be touched to contribute to this fight! Choose the fact that you want to share through your social media accounts. 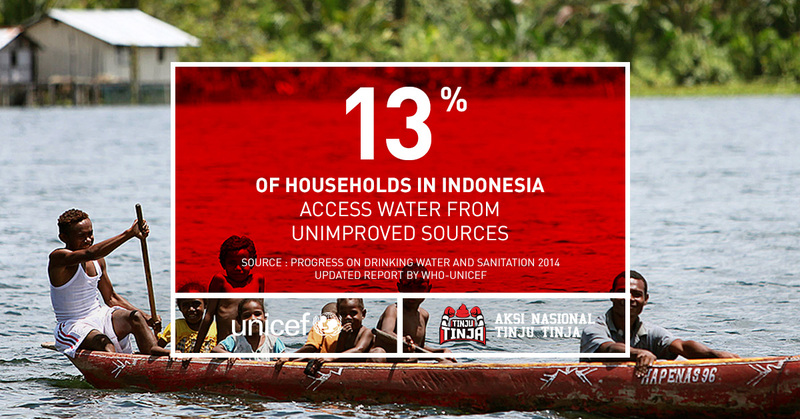 The 13% of households in Indonesia still use water from unfeasible sources. 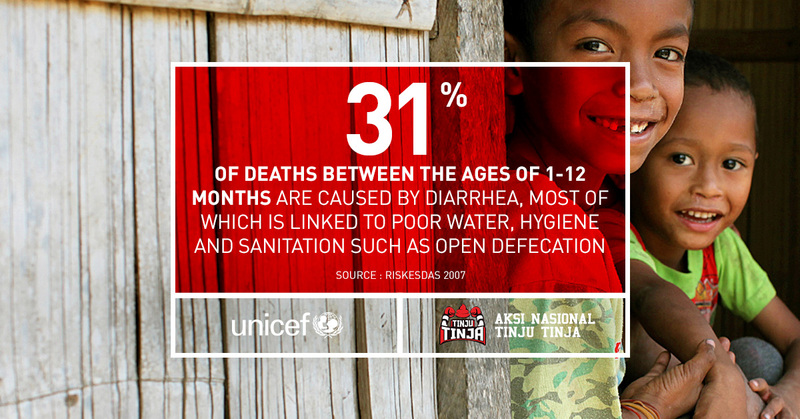 31% of deaths between the ages of 1-12 months are caused by diarrhea, most of which is linked to poor water conditions, hygiene and sanitation such as open defecation. Poor sanitation caused Indonesia losses of Rp 56 trillion or 2.3% of Indonesia's GDP. When open defecation contaminates the water and food, it causes malnutrition that affects children's growth and could result in their being stunted. 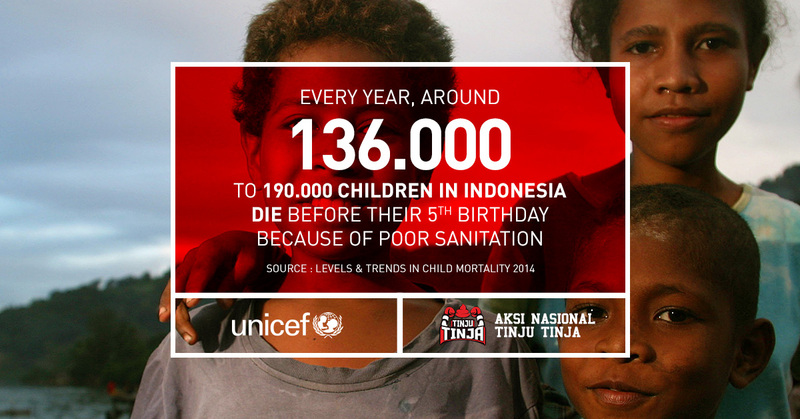 Every year, around 136.000 - 190.000 children in Indonesia die before their 5th birthday because of poor sanitation. You can also find more facts from each province all around Indonesia here, or find and create infographics about open defecation here. Give your commitment in fighting open defecation with Aksi Nasional Tinju Tinja through your social media accounts, and invite more people to act to make Indonesia free from open defecation! Thank you for your commitment in fighting open defecation! Continue to act by contributing here, and share the facts on open defecation through your social media accounts here. We have received your contribution to fight against Open Defecation. See your contribution in the gallery, and share the facts about Open Defecation through your social media channels here.